History: You know you’re doing something right when everyone knows you as a beer place, but you secretly make more money off of your craft soda sales. That’s what happened with Appalachian Brewing Company in Harrisburg, Pennsylvania. Appalachian Brewing Company’s Brewmaster Artie Tafoya says “It was due to the demand. People wanted to buy it. 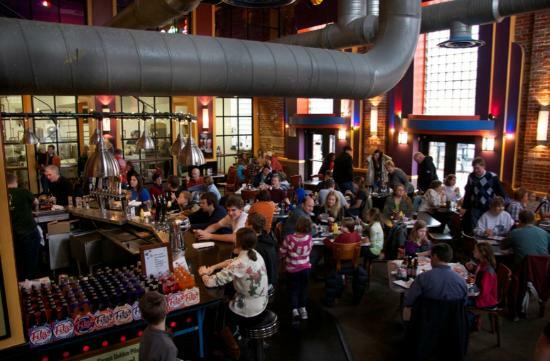 It just ended up turning into a bigger deal.” On paper that’s a pretty impressive feat considering the brewery produces around 15 beers at a time depending on the season and just four bottled craft sodas. Like most in the craft soda business, their signature soda is their homemade root beer, something Tafoya experimented with initially as a family-friendly alternative to the hard stuff. 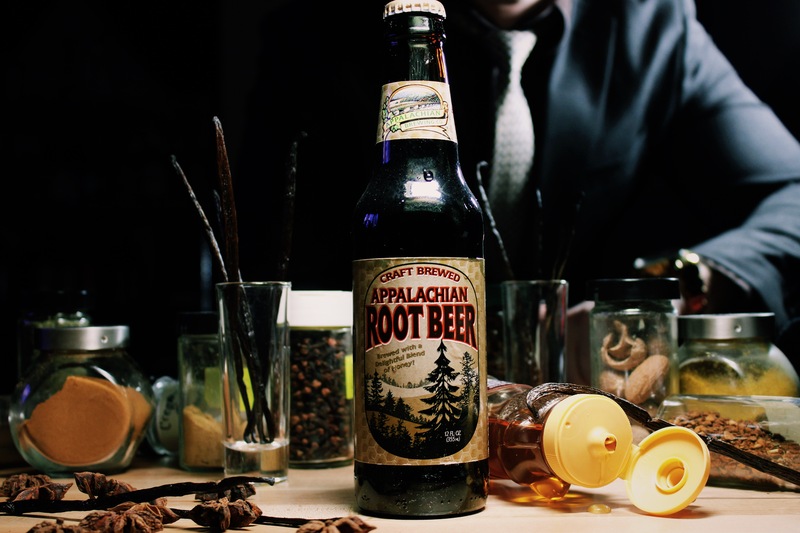 When asked what sets Appalachian Brewing’s root beer apart from a plethora of others, Tafoya said he believes several ingredients stick out including: pure Appalachian spring water, cane sugar, mexican vanilla bean extract, and clover honey. The clover honey is a signature ingredient in several of the company’s craft sodas. It’s a recipe designed to taste like “old fashioned root beer,” Tafoya says. The brewery has been around nearly two decades and will celebrate its 20th anniversary in 2017. And while it’s not much of a secret anymore that Appalachian Brewing Company is as much of a player in craft soda as it is in beer, the company’s dedication is what will keep it at the forefront of both industries in the years to come. “I’ll spend any amount of money to make it,” Tafoya says of his products. That’s a formula for good liquid. Buy: Due to freezing temperatures in the northeast over the winter, your best bet for placing an order is by contacting the company directly. Nose: Classic root beer with a vanilla-forward scent and a touch of spearmint. When you’ve tried as many sodas as we have, you can tell that this also smells like it’s going to taste creamy. Taste: Mint; birch bark; sarsaparilla root; vanilla; mild creaminess. When you think of old time root beers that relied heavily on botanical flavors and mint vs. modern root beers that are all vanilla and very creamy, this definitely leans towards those of yesteryear. Right away you taste a big minty influence, more wintergreen than spearmint. Not spicy, but really permeates the nose. 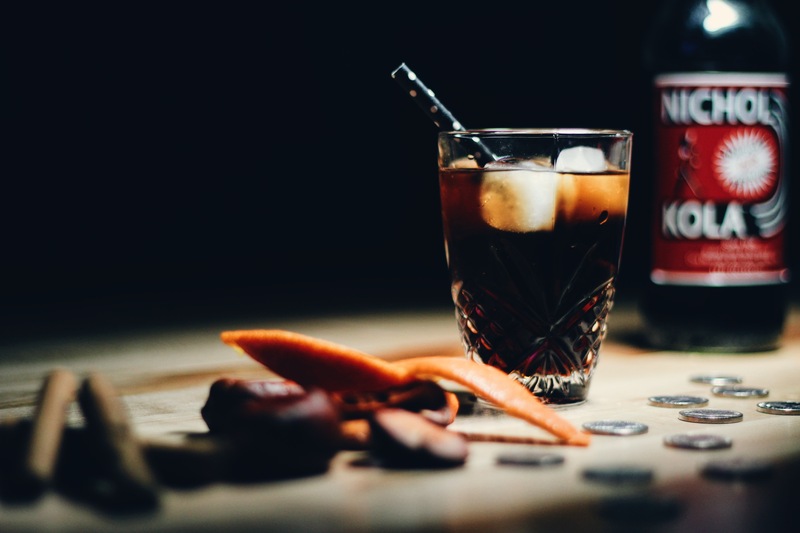 Next there’s a 1-2 combo of sarsaparilla root and birch bark that give the root beer a signature throwback flavor, the kind you used to taste at medieval fairs as a kid. What? You didn’t go to any medieval fairs as a kid? That was just me? Man, you missed out. But there’s also a subtle creaminess to this. It’s not as hard-hitting on the vanilla as most modern root beer recipes, but there’s enough of it for you to taste. As far as the honey, that really comes in on the finish. This is a nuanced, full-bodied root beer with a nice old school flavor. Finish: Tangy sarsaparilla and mild vanilla flavors that fade into noticeable honey. The more you drink this, the more pronounced the honey becomes. Rating: It’s refreshing to see a modern company creating a root beer that tastes like it was imported from the past. Appalachian Brewing Company’s Root Beer is bold and layered with big notes of wintergreen mint, sarsaparilla root, and birch. It feels like something you should should drink out of a silver chalice in the woods while wearing flannel and blue jeans. Maybe something to quench your thirst with after chopping down a tree. I also appreciate the mild use of vanilla and honey that make this root beer a lot more approachable for soda hounds who aren’t fans of the more earthy flavors. This drinks easily and is very crisp on the tongue, giving it a pleasant mouth feel. I personally like a little bit more vanilla in my root beers, but I think Appalachian Brewing is really catering to a part of the root beer crowd that feels like their favorite recipes have fallen by the wayside. This is a callback to simpler times and bolder soda. I wouldn’t hesitate to try this if you get the chance. Nose: This is strawberry. No doubt. It’s like an artificial candy strawberry scent, reminiscent of strawberry Sour Punch Straws without the sour. Taste: Sweet; artificial strawberry; mild watermelon. Whoa, this is sugary. It leans heavily on the artificial strawberry flavor side, but there’s also a faint watermelon taste that sneaks its way in and confuses you. This is like melted down strawberry hard candies that have been carbonated and bottled. 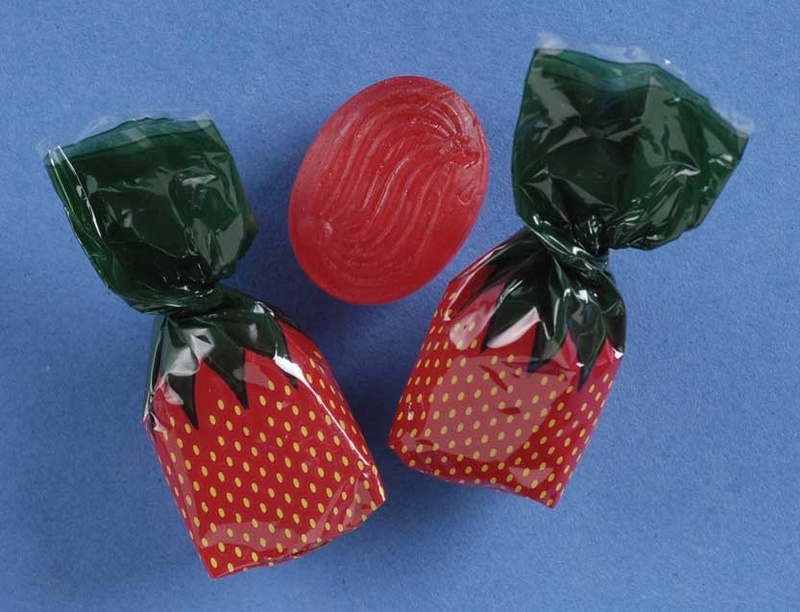 You know those strawberry candies your grandma has in her jar that no one ever eats? Well, if you actually eat them, they’re full of fake strawberry flavor. That’s kind of how Scarlet Soda tastes. Finish: Tangy fake strawberry flavor that fades quickly and leaves a bit of a film in your mouth. 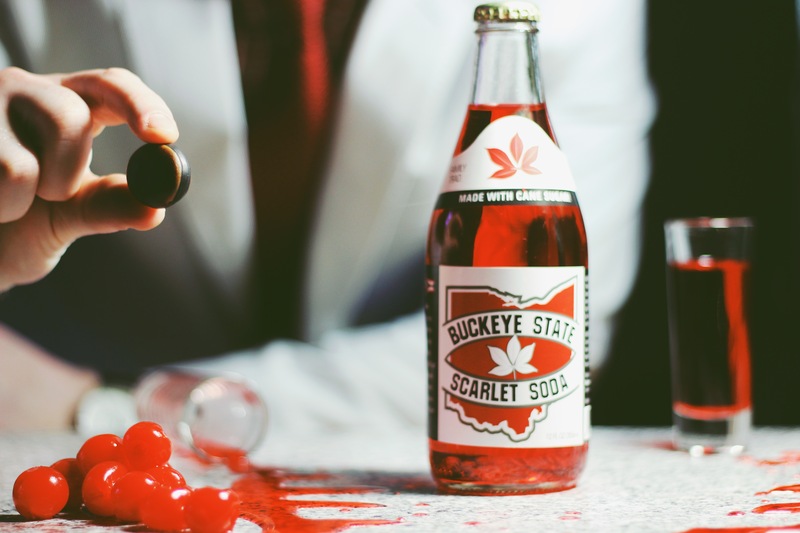 Rating: We’ve solved the mystery of Scarlet Soda. Maybe. Probably. I think? This soda is chocked full of artificial strawberry flavor. Oh, and sugar. Lots of sugar. Drink a whole bottle of this and you might be able to lift a car. Kids, do not try this. But if you do and succeed, please post a video and give us credit for the idea. Ok, here’s the thing: I know reading that a soda tastes fake and full of sugar sounds bad, but Scarlet Soda is solid. You just have to be in the mood for it. 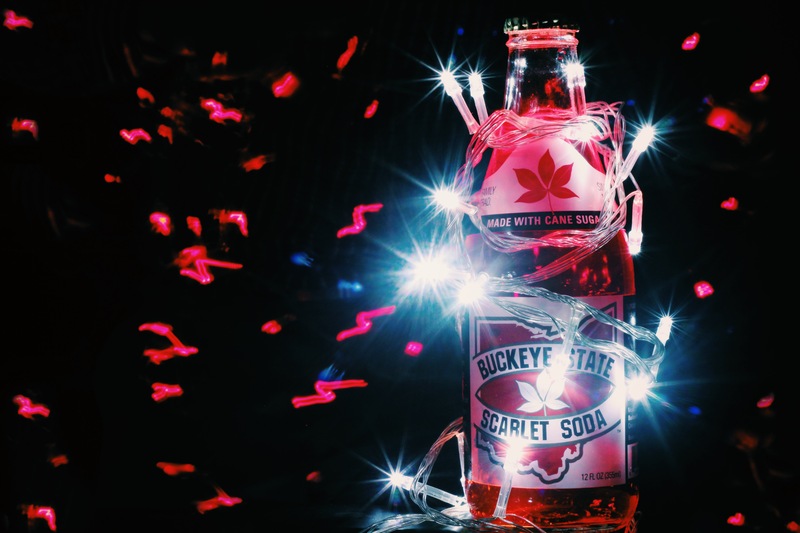 Scarlet Soda has that old fashioned candy strawberry taste one might find at a state fair. This is a soda tailor-made for children. It likely drinks best on a hot day outside. No, I don’t think a ton of adults are going to be into this and I think its audience is limited. Yes, it’s really sugary, probably too much so. Still, there are going to be people who appreciate this. It’s worth a shot. Try one while you’re barbecuing or use it as a mixer with vodka and maybe some bitters. Because the more I try this, the more I enjoy it even the though soda snob in me is telling me no. Seems like an appropriate response for a soda designed to make the drinker think. P.S. We only had one bottle of this, so we had to take photos before tasting. We guessed on the cherries… we were wrong. At least they look nice though! 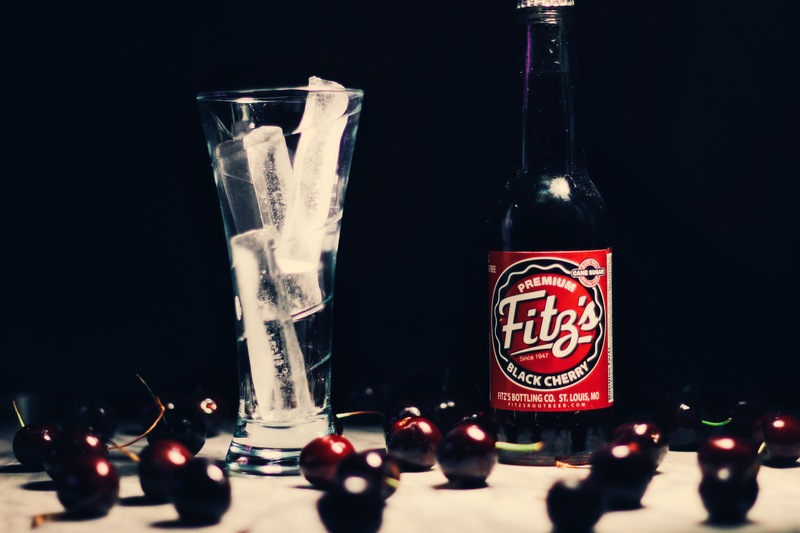 Where to get: You can purchase Fitz’s sodas online directly from the company or from our friends at Summit City Soda (we don’t get paid to shill for them; they usually just have good prices and we know shipping soda is expensive.). If you’re a little less adventurous, Soda Emporium has you covered with four-packs. Nose: Smells medicinal, like cherry cough syrup. Kind of like watered down Robitussin. Not exactly the warmest of welcomes. Taste: Bold and intense cherry; more red than black; artificial; heavy; tangy. There’s a bold cherry flavor that hits you. It’s somewhere in the middle between and black and red cherry flavor, but it’s not the classic black cherry taste you’re used to drinking. It’s solid. What separates it is the hint of red cherry and a definitive tanginess. But there’s also an accompanying aritifical, syrupy flavor that sits heavy in the mouth. Certain sips feel more processed than others. The cherry flavor is powerful throughout the soda, sometimes tasting very palatable and other sips mimicking fruity cough syrup. Finish: Smooth and balanced with a tangy and tart red cherry flavor and just a hint of black cherry at the end. Very nice and easily the best part of the soda. 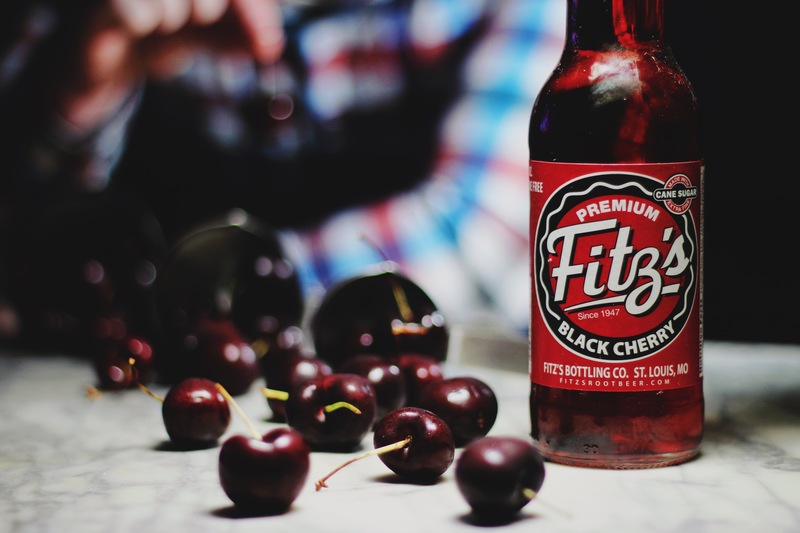 Rating: Fitz’s Black Cherry is a soda I’d recommend if you want black cherry, but are looking for very specific characteristics in your soda. It’s not what I’d consider “classic black cherry,” though occasionally you’ll taste that flavor. It’s kind of like its craft soda relatives, but slightly different. So if that’s what you want, Fitz’s may be the brand you should seek out. Where this soda shines is its tangy hybrid red and black cherry flavor. It’s bold. It’s tasty. And it’s different. The tanginess gives it a unique trait other black cherry sodas often don’t have. On the flip side, this soda can taste fake on certain sips. The artificial cherry flavor overwhelms you at certain points of the drink, which is enough to downgrade this to what I’d consider to be an average soda. It’s almost really good. Almost. I wouldn’t turn it down, but I probably wouldn’t seek it out. 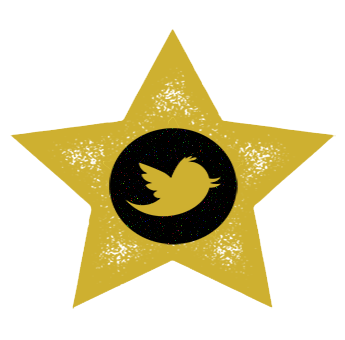 History: We have been waiting a long time to write this review. Not because we’re lazy, but because finding the history behind this soda was a maddeningly slow process. In the 2010 edition of Soda Spectrum, contributor Blair Matthews writes “there’s hardly a trace of what was once such a successful and lucrative cola brand.” But searching is our thing… so we searched. We consulted Eric Wideman, “the nation’s expert on Nichol Kola,” according to his boss, Orca Beverage President Mike Bourgeois. And based on the information we’ve gathered from Wideman, I believe it. I mean what an absurdly specific thing to be obsessed with: a soda that started in 1936. Personally I am obsessed with Natalie and Tonya… but they’re not talking to me anymore. Anyway, here’s what Wideman relayed to us about Nichol Cola: first there was Sun-Boc, then there was Ver-Vac, Pow! World War I – sugar problems – yadda, yadda, yadda. And now here we are years later with Orca Beverage resurrecting a forgotten brand. Got it? Good. Peace out. Jk. God, for how long it took us to write this, we are doing it in the most annoying way possible. Here’s a synopsis of the soda’s history as written in the book The House of Quality: The History of the H.R. Nicholson Company by Harry R. Nicholson. Wideman sent us excerpts from this extremely rare publication. We do know it’s a real thing though because we found it online in Australia’s National Library. Go figure. Harry R. Nicholson was a business man. Dude was savvy back in the early 1900’s. 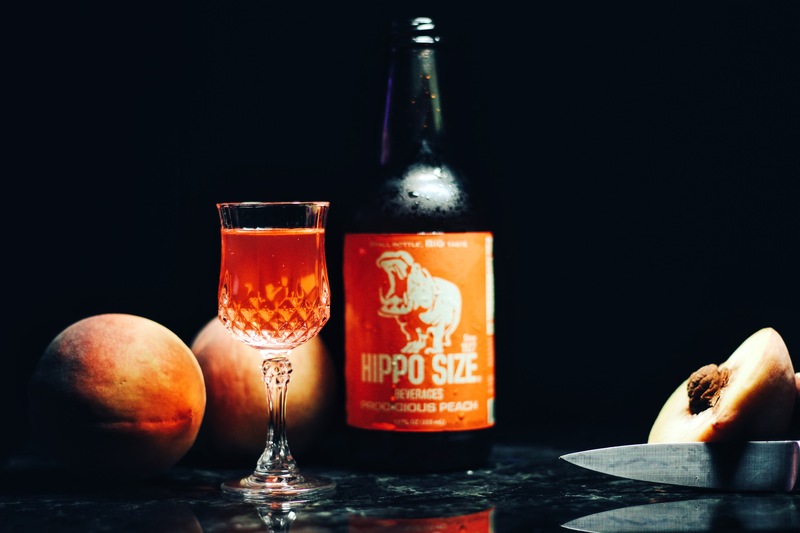 With prohibition on the rise, he created Sun-Boc an amber not-quite-beer that became a hit with people looking for something to replace their former definitely-real-beer. After Sun-Boc’s success, Nicholson invested that money into a cola he called Ver-Vac designed to compete with Coca Cola. Well Ver-Vac, despite maybe being the worst-named soda I’ve ever heard of, was a hit. Nicholson raked in $110,000 from investors to go all-in on it. And then he hit a road block called World War I, which led to sugar rationing and a spike in sugar’s price. Here’s the big problem with that; sugar is a huge part of soda and the amount of sugar businesses “were allotted was based on their usage before the rationing” and since Ver-Vac was a relatively new venture, Nicholson didn’t get anywhere close to enough of it to run a soda business. After a bad business deal on sugar and then the sudden stoppage of the war, Ver-Vac’s fizz as a company went flat. In 1926, Nicholson gave cola a shot again, this time branding it as “Nichol Kola” to compete with brands like Pepsi. He would sell the concentrate to independent bottlers who would then mix it up and sell it. Guess how much each bottle sold for? Nichol Kola continued into the 1970’s, but as independent bottlers fell by the wayside, there were fewer and fewer businesses to which the company could sell their soda’s concentrate. The trend continued until Nichol Kola met the same fate as Ver-Vac. But in 2006 Orca Beverage revamped the brand. 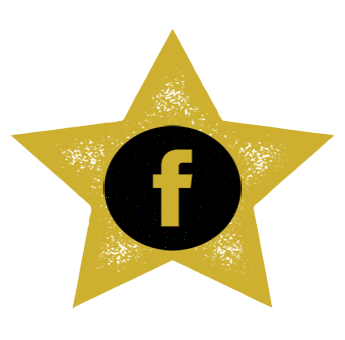 If you haven’t read past reviews, Orca Beverage is a large soda manufacturer and distributer based out of Mukilteo, Washington. Their “thing,” if you will, is buying up vintage brands no longer in production and putting them back on shelves. Bourgeois tells us about his company, “We do that because our specialty is vintage soda. We just want to consolidate as many in-house as we can.” The current incantation of Nichol Kola is not the original formula. When asked to describe today’s recipe, Bourgeois played it pretty close to the vest, but pointed out cinnamon and coriander as ingredients used. He also says there are ingredients in it “that typically aren’t found in colas anymore.” Alright, history lesson over. We finally got that part out of the way. Now let’s drink this damn thing. Where to get: Nichol Kola is commonly available at Rocketfizz retailers. You can also order it online from Summit City Soda or Orca Beverage. Single bottles are available for purchase from Soda Emporium. Nose: Rich cola scent. Prominent cinnamon and mild citrus smells. Taste: Cinnamon; vanilla; mild spice; sugar. Nichol Kola’s defining flavor is spice. To give you an idea, imagine a soft cola with prominent cooking spice notes, most notably cinnamon. There’s also some vanilla and mild citrus flavors. Drinks very easy. If you take some time in between sips, the soda’s spices slowly reveal themselves. Coriander jumps out as well as a stronger, spicier cinnamon. It has a really nice lingering effect. It’s very smooth and not as bitter as certain colas like Pepsi. The sugar isn’t too strong either. The real flavor bang comes near the end of the sip, so take your time on this soda. Finish: Lingering spices. Reminds me of a spice cake with added vanilla. As with the body, cinnamon is probably the most recognizable flavor on the finish. 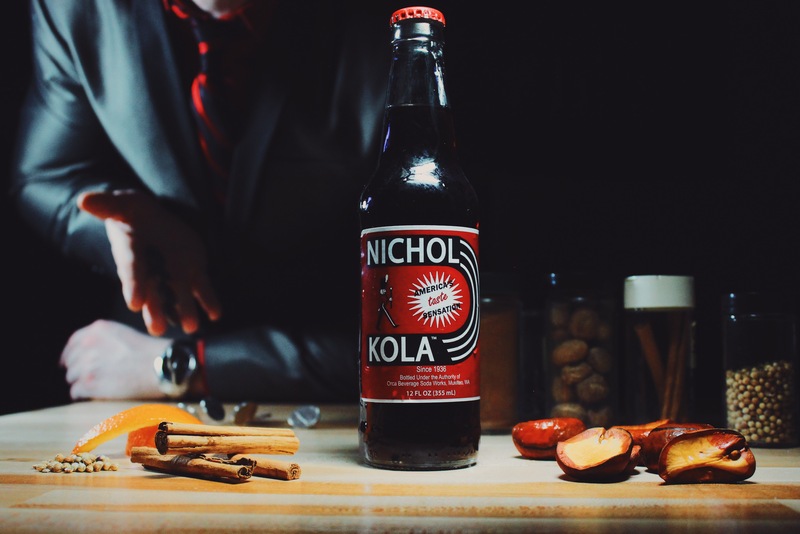 Rating: Nichol Kola is an exceptionally smooth cola that drinks easy and maintains a nice balance of sweetness and bitterness. Any bottler that uses cinnamon in its cola is already ahead of the game and it’s the starring ingredient in Nichol Kola. This has a warming sensation to it when you drink it. It’s comfort soda. What surprises me is that the majority of the flavor comes on the soda’s finish. You really get the full-bodied flavor after you’ve already swigged the liquid down your gullet. You’ll taste bold cinnamon, similar to spice cake. Also vanilla and mild orange citrus. It also mixes really well with a vanilla-heavy rum if you’re into the spirits. Try Captain Morgan Black + Nichol Kola. 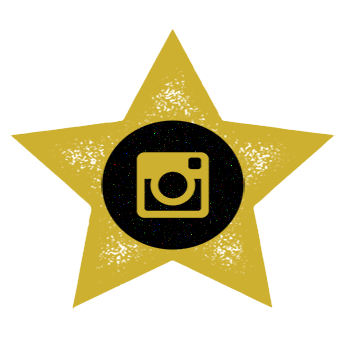 We call it the Five Star Fadeout. One of our writers is passed out on the couch as I write this after having several of them. He’s the reason for the name. This is definitely a cola to try. But it’s not without faults. I wish there were more prominent flavors in the first half of each sip. I wanted to be greeted by something lovely rather than having to wait for it. But I use that same philosophy in my marriages and I’m on my third one, so I could be wrong there. If the first half of each sip was as nice the finish, this would be a five star soda. It’s still one that we believe all craft soda connoisseurs should sample and it’ ability to function well as a standalone drink and a mixer make it even more appealing. Definitely try it both ways. Just don’t be like our writer. History: We’ve been gone awhile and we know we’ve left many of you parched for craft soda reviews. Well after accumulating many frequent flyer miles, we’re back baby. One of the places we zoomed through? Canada, eh. And though we didn’t see any moose, we did come across a root beer we felt fit for review from Cariboo Brewing out of Prince George, British Columbia. For perspective for our U.S. readers, Prince George is about a four and a half hour flight north from Seattle. 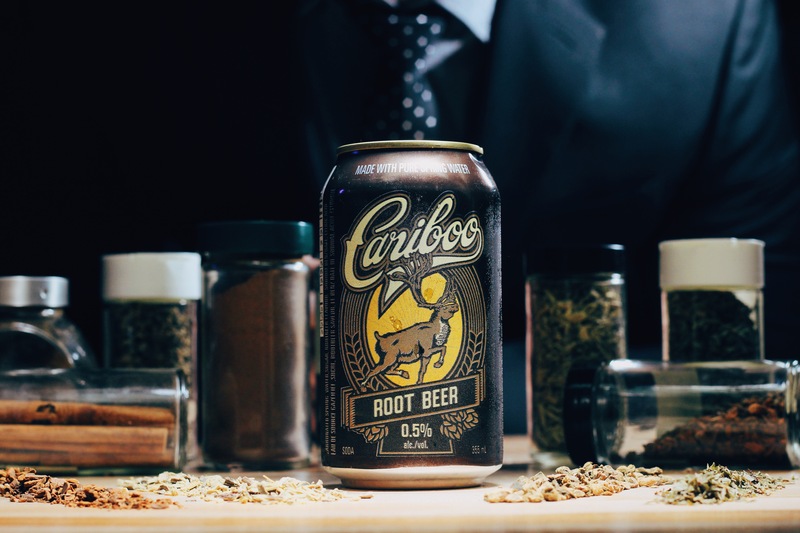 Several things stood out to us about Cariboo’s take on root beer. Most noticeably is the 0.5% alcohol/volume label on the front of the can… yes, it comes in a can and not a glass bottle. But don’t fret, this isn’t a hard root beer. It’s nonalcoholic. Fun fact: even nonalcoholic beers are typically 0.5% alcohol/volume. Some of your favorite root beers from other breweries likely contain trace amounts of alcohol as well. Cariboo Brewing is also known for their environmental efforts, so if you’re a vegan, keep your pants on here for the next sentence. According to the company, “For every case of Cariboo, we will plant a tree to aid in the effort to save B.C. forests from pine beetle devastation and restore areas struck by forest fires.” The brewery “has partnered with the BC Ministry of Forests and Range to Refresh & Reforest BC with over 1 million trees by 2020.” Cariboo Brewing Root Beer is made with pure spring water and cane sugar and the company describes its taste as “smooth and creamy” with “sassafras on the palate.” The brewery’s creation was made with American taste buds in mind, where the drink is most popular. So while our elections are a disaster at the moment, at least our beverages are keeping our neighbors to the north happy. And guys, save some more for us and we’ll let you know in November if we’re moving there. 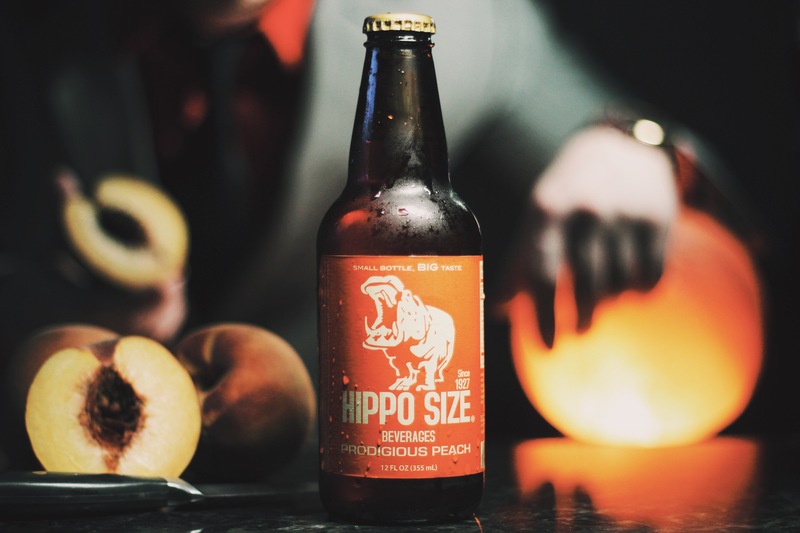 Where to get: For this one, your best bet is to live near Prince George, British Columbia, Canada or contact the brewery to place an order for a 6-pack. Nose: Standard root beer smell, similar to A&W. Some nostril hits of birch oil and mint. Taste: Mild vanilla; subtle wintergreen; birch bark; sugar; light creaminess. There’s a really pleasant synergy of all the flavors in Cariboo’s Root Beer. No ingredient overpowers its companions. In terms of mouth feel, it’s crisp up front, but the back half is creamy. You’ll taste traditional root beer flavors like vanilla, wintergreen mint, and birch bark, along with crisp sugar. Everything is balanced. No weird aftertaste either. If I had to pick a couple elements that stand out most, I’d go with the birch oil and the vanilla – but you’ll probably have your own opinions here. Pairs well with ice too, making this root beer slightly more creamy. Finish: The finish is short, but slightly more earthy. After the creaminess of the body fades, you’re left with the birch and wintergreen flavors that briefly linger for a couple seconds. Rating: With a cornucopia of craft root beers on the market, so often we just need one that doesn’t let us down or try to shove as many weird flavors in a bottle as it can. 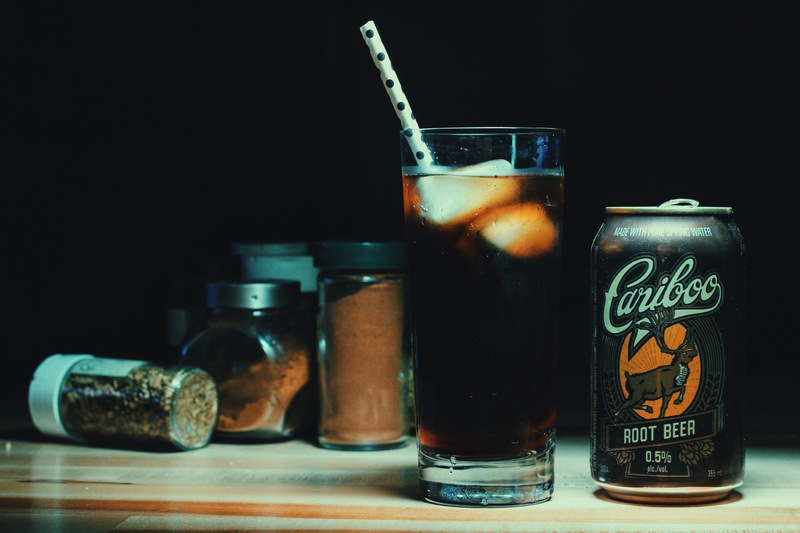 Cariboo Root Beer is here to satisfy your need for a traditional, tasty mug of soda brew. It’s one of the few craft root beers out there that comes in a can instead of a bottle. Purists may scoff at this, but we can attest there’s no metallic or weird aftertaste. The British Columbia, Canada brewing company achieves great balance in its root beer with vanilla, sugar, wintergreen, and birch oil all evident in the flavor profile. It’s crisp, but also creamy – a trait that scores big points with us. It’s consistent, has strong flavor, and doesn’t try to be something it’s not. This is the dad of root beers (no offense to Dad’s Root Beer): you can depend on it to do the right things when others let you down. One element I’d like to see brought out more is the vanilla. You get bits and pieces of it and can taste how Cariboo has done a great job with that flavor, but I think it needs to shine more. Overall, this is delicious. I’d have a hard time seeing any root beer purist or novice not enjoying this. If you’re all aboot (Canada pun? √) root beer, do yourself a favor and get in touch with your Canadian brethren for a tasty north of the border treat. History: As soon as you hear the first chords of the Muse song “Hoodoo,” there’s an entrancing vibration that echoes your down your spine… but more importantly, there’s also a sense of dread. Like peering into an ocean blue sky before looking off in the distance and seeing a dark wave of clouds barreling forward. 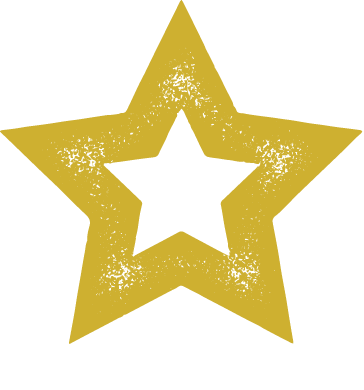 Middle Eastern-inspired guitar strings pluck quietly, conjuring up the image of a quiet dessert before the song quickly descends into a rapid, more folksy rendition of itself. Lead singer Matt Bellamy calmly croons about for half the song until the music then trades in its exotic flare for one that’s angrier, churning ahead with distorted guitars and sinister orchestral strings. The song shares the same name with an original creation from Roots Soda Co. in Edinburgh, Scotland. 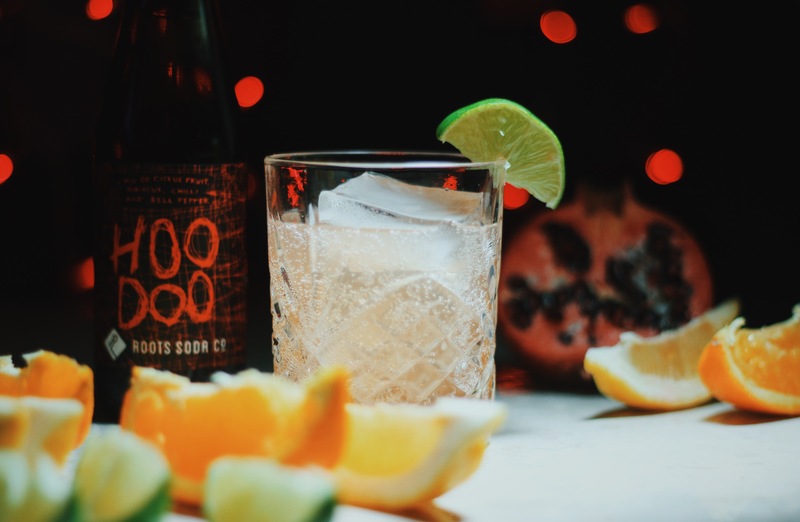 And much like the flow of the music, Roots founder Mark Pool describes Hoodoo the beverage as “Jekyll and Hyde, a split personality that would refresh and then burn.” The story is also the inspiration behind the beverage. He likens it to a fruit punch which is an interesting comparison to us after previously reviewing one of the company’s other sodas, Kaleidoscope, one we felt also tasted like a fruit punch. There’s more parallels to the Muse song too. The two share similar cultural influences. Pool says Hoodoo was “inspired by far eastern and South American drinks.” But there’s another, more important influence on the company’s creations. Roots Soda Co. prides itself on using real ingredients in their soda. They acknowledge and agree with the backlash against a majority of soda on the market. Pool is frank, saying “Soda is going to have to change and artificial sweeteners are not the answer. We started out wanting to make our sodas more healthy that what was on offer.” He hammers the point home, adding “The landscape of soda is one of ruin.” Damn, man – tell us how you really feel. Well, he did. And Hoodoo was his first answer. “It took months” to perfect Hoodoo, a soda with a bevy of ingredients that make you wonder how the recipe will work when they’re all combined. Pool tells us the soda contains orange, lime, lemon and pink grapefruit juices in addition to pomegranate and chili peppers. That was the reason for the delay. Pool struggled with balancing citrus and heat. “I wanted the burn to come on slowly so that the soda first cooled and refreshed, and let you taste all of the ingredients before the burn started to build,” he says. He’s since mastered the level of heat he desired, but still faces battles with every batch of Hoodoo. Again, it’s the pepper that causes Pool to sweat. “The chillies come from different parts of the world throughout the year, and the heat from them can vary. Just like cooking a meal at home, we have to taste and adjust cooking times for the chillies in the syrup, in order to get the heat just right in every batch.” As with many sodas from Europe, the portion size is slightly smaller than the usual 12 ounces Americans are used to. But what the bottle lacks in size, it makes up in personality with its menacing red label and poetry inscribed on the back. It’s clear the crew at Roots Soda Co. have worked hard to make their sodas an experience from the names to the ingredients to the aesthetics. The only thing we all really care about though: the flavor. So here’s to the Jekyll and Hyde of sodas. It’s been a long time since I’ve tasted a split personality. At least three or four girlfriends ago. Where to get: Roots Soda is only sold at physical locations in the United Kingdom. Sorry everybody else; you’ll have to travel for this one. But if you’re in the area, here’s a list of where to find the goods. The company also hinted online sales may be coming, so always be on the lookout. Nose: Smells kind of like a fruitier version of V8 juice. Some savory vegetable and sweet fruits stirred together in a pot . Taste: Juicy; pepper; orange; chili; lime; tangy. 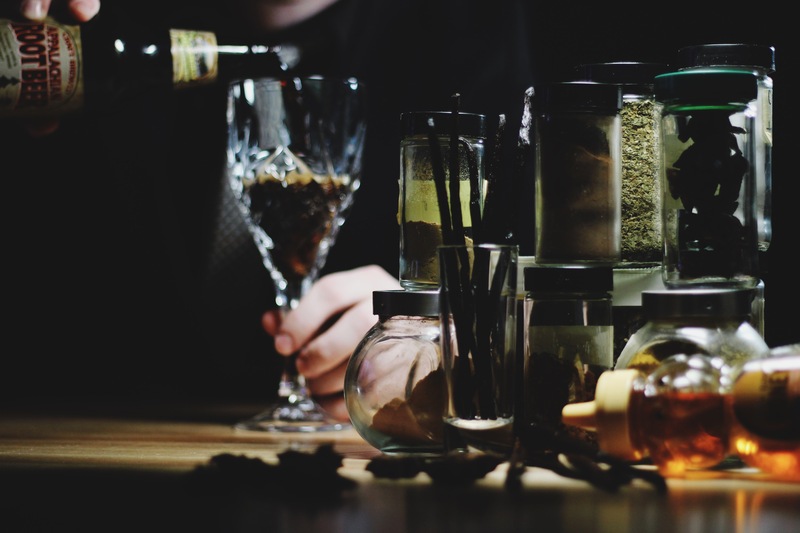 Each sip of Hoodoo reveals something a little different. Initially you might taste the chili, making the soda seem more savory. Then on the next sip, the orange comes through to make it seem more fruity and sweet. 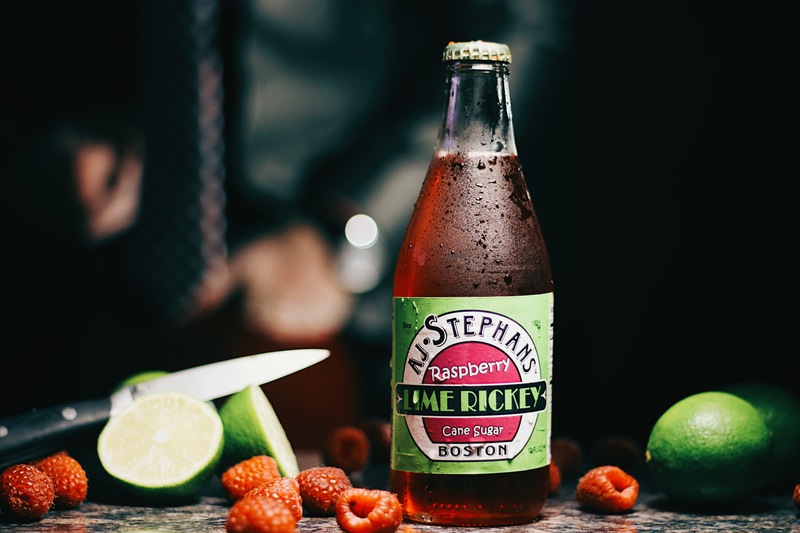 Try it again and you might notice the lime or pomegranate most, giving the soda a tangy characteristic. I’d say orange is the soda’s base flavor with chili and lime being tied for second most prominent. It really is kind of a split personality drink. Sometimes it’s more like a semisweet, vegetable-influenced juice cocktail. Sometimes it’s almost like a citrus fruit punch. But the reality is that Hoodoo is somewhere in the middle, both savory and sweet. Refreshing, yet atypical. Finish: More savoy than sweet with notes of bell pepper and chili being most prominent and just a tinge of sweet and sour lemon, as well as orange. Rating: So often we get asked for soda recommendations with the qualifier, “something not too sweet.” Hoodoo has shot up to the short list of sodas meeting that requirement. 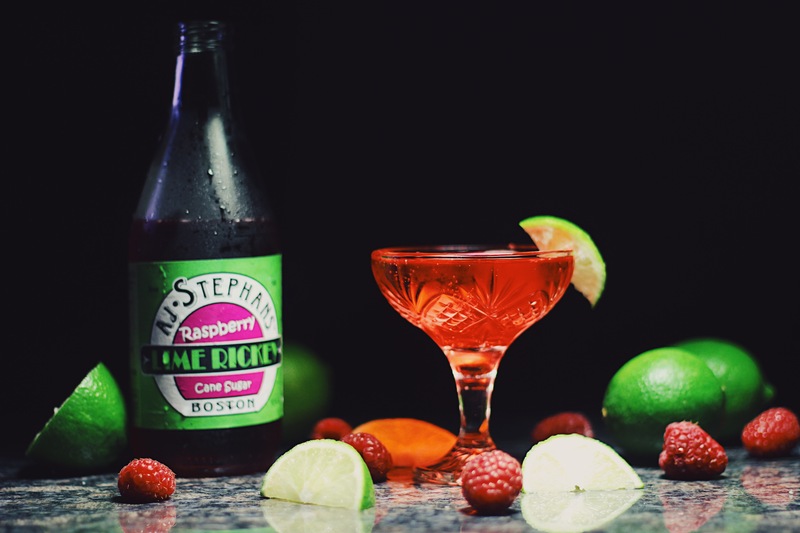 It’s a hybrid between a botanical and sweet soda, while getting its flavors from real fruits and vegetables. Some sips are rich, even savory with notes of bell pepper and chili. Others are sweet and juicy with a base of orange juice supported by tangy pomegranate and lime. It seems to change each time you bring the bottle to your lips. Even the degree of the flavors are different. Sometimes the pepper taste is subdued. Other times it’s vicious. Sometimes the orange flavor is juicy and upfront by itself. Other times it’s just a supporting player in the background as pomegranate and lime take over. Split personality. I’m not even talking about my exes this time. These two words define Hoodoo. And it’s clearly by design. And in that sense, Roots Soda Co. has certainly succeeded. The company is one of Europe’s best craft soda bottlers. 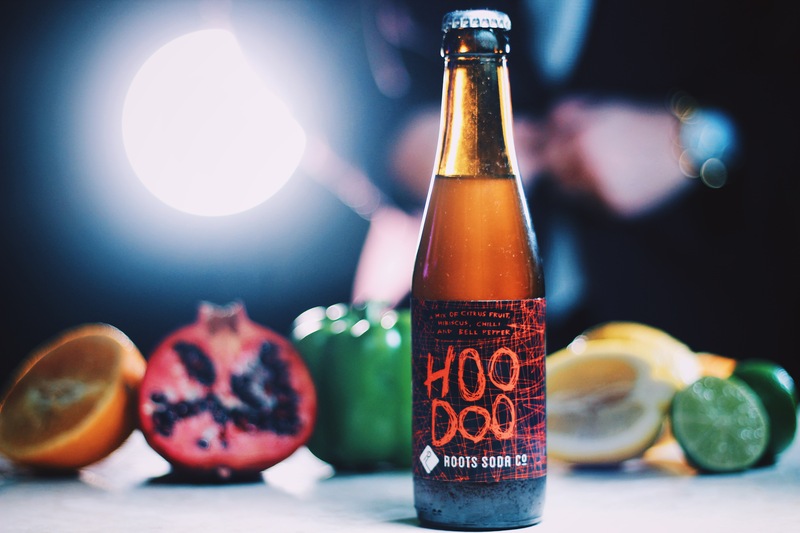 If you’re looking for something truly out of the box, something unpredictable, give Hoodoo a try.